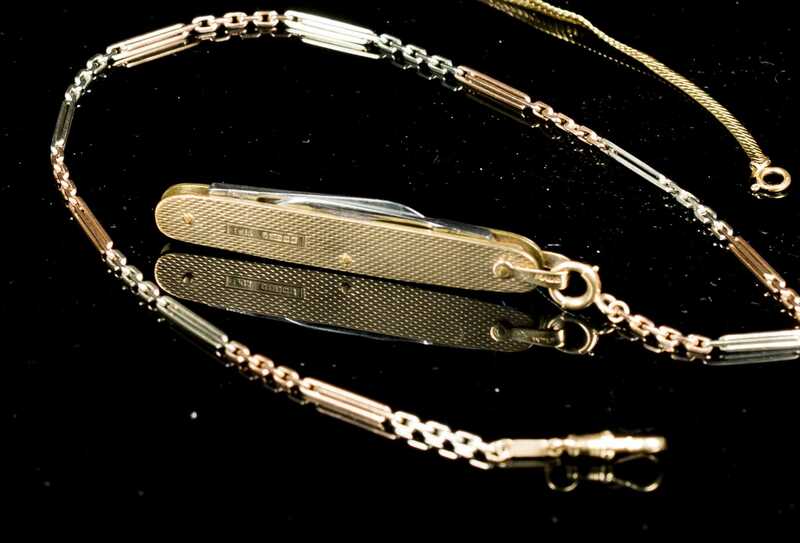 Two Yellow Gold Pocket Knives with Gold Chains, A) 9kt. marked pocket knife with two stainless marked "Stainless, made in Sheffield, England" the bail of the case is also marked "Made in England" as well as being stamped "SJR, 375". The watch is attached to a white and rose gold alternating link chain that is stamped 14kt. on the clasp. 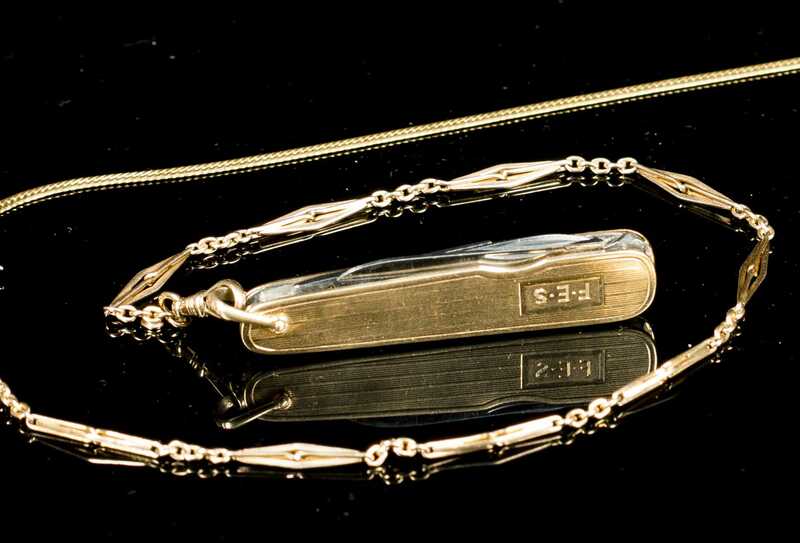 Knife case measures approx 2 1/2" with bail and the chain measures 14 1 /4". B) 14kt. yellow gold, marked, pocket knife with monogram "FES" includes blade, file, and scissors stamped "Latama Italy, Stainless". The knife measures 2 3/4" with bail and is attached to a 14kt. marked chain measuring 14 1/4". C) Also included in the lot is a gold filled chain, 15" long. The total weight for the lot is 66g.